The first stage of the redeveloped Margate Marina at Baretta is now open for business. Sail and power boat customers are now moving in to the initial 50 berths which are complete with power, water and CCTV monitoring…ideal timing for the summer boating season. The completion of this first stage provides secure berthing facilities vessels from 10m to 25m in length, protected by a custom engineered wave attenuator/breakwater. Construction work is being undertaken by Pacific Pontoon & Pier and will continue as the Marina expands to its potential of 300 berths. 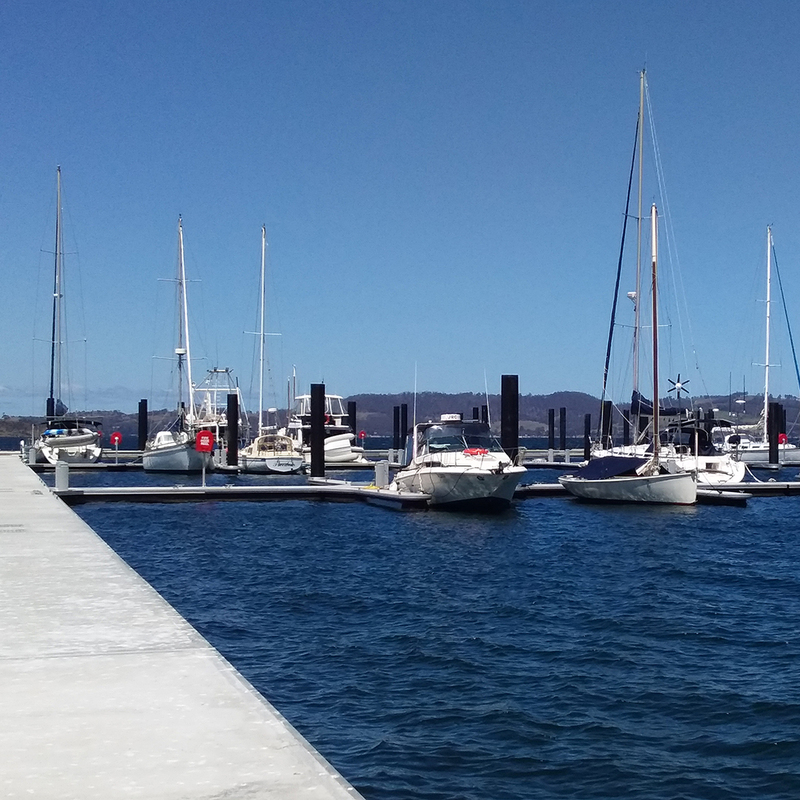 The redevelopment of Margate Marina represents one of Tasmania’s biggest recreational boating investments, creating extra employment and additional opportunities for many businesses. It is a significant new addition to Hobart’s boating infrastructure. The redevelopment is a welcome new facility given the scarcity of vacant marina berths in Hobart. The boating community has already shown strong demand with limited berths now available. This demand is driven by the range of facilities and easy access to the famous cruising waters of the D’Entrecasteaux Channel and surrounding areas. The completed berths have very generous spacing between berth rows, enabling greater manoeuvrability for all vessels. On land there’s a large hardstand area, slipway and boat ramp with easy access for marine trades. The Marina’s specialised haul-out equipment caters for vessels up to 60ft (including catamarans) and 47 tonnes. Unique facilities currently being completed include a pump-out service and a floating dual fuel pontoon depot (diesel and petrol). Also, being developed on land will be a café, chandlery and a new amenities building which will include shower and laundry facilities. The Marina has gated security with CCTV monitoring and the Marina office is open 7 days a week. Secure a berth today! Enquire online, call 03 6267 9600 or email admin@margatemarina.com.au.